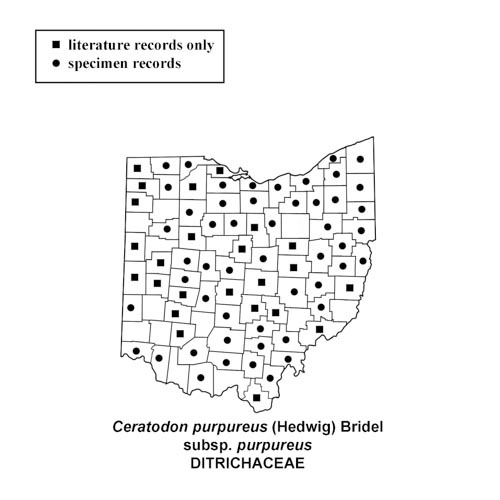 Ceratodon purpureus in Caledonia, Marion County, Ohio. March 22, 2008. Ceratodon purpureus on concrete in Marion, Ohio. April 10, 2008. 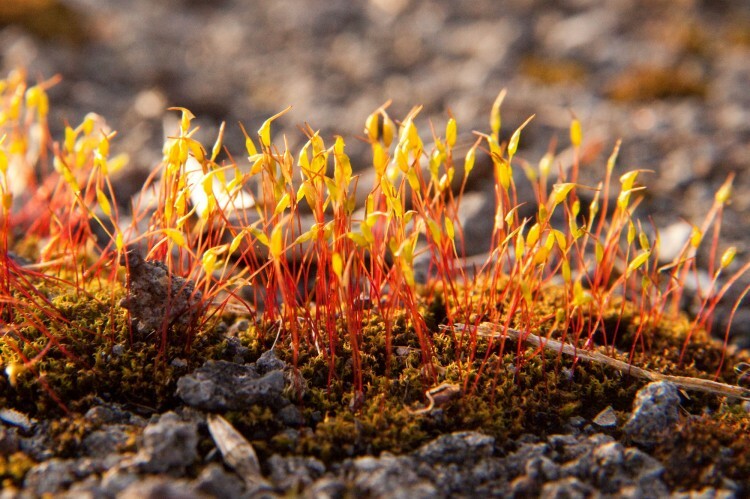 How to recognize Ceratodon purpureus: This moss is a small upright plant that is most easily recognized by the purplish red capsule and seta when they are young. 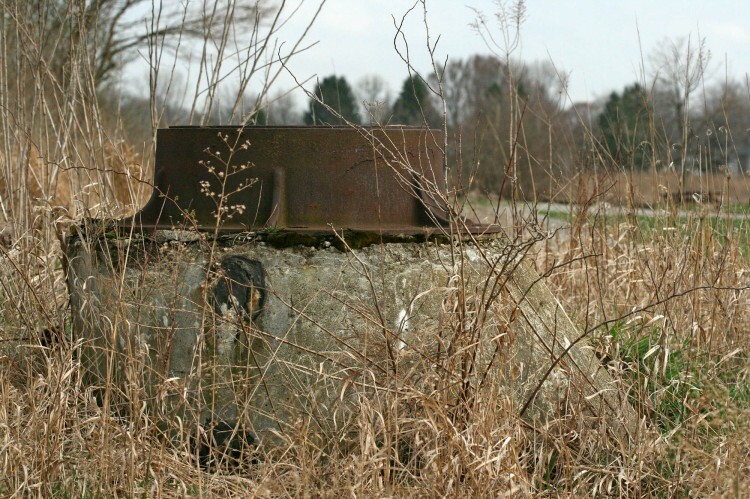 The capsule becomes furrowed and brownish with age. 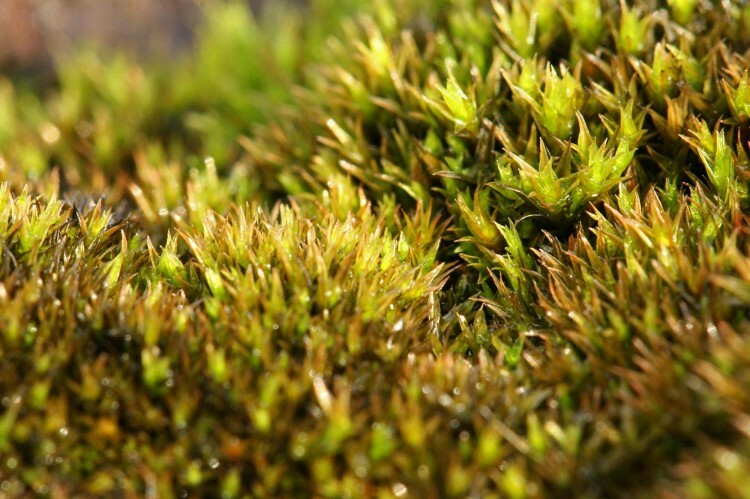 In the west it can be confused with another moss (Didymodon vinealis) but in the east the capsules are a good clue to its identity. 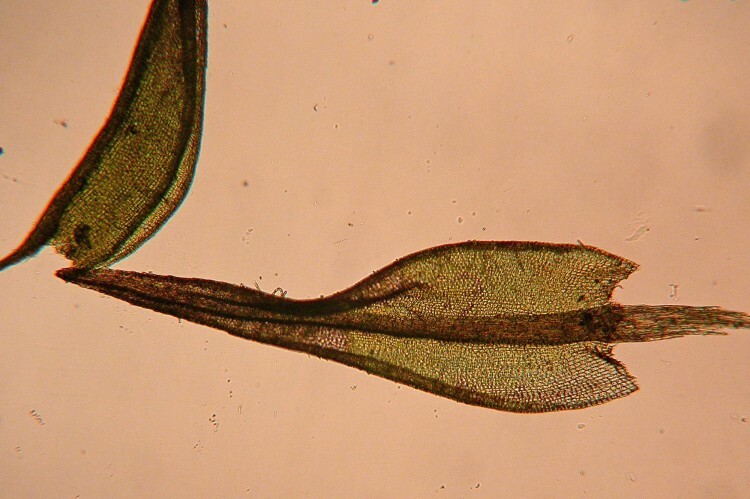 The leaf is about 1 mm long and is triangular with the single costa extending to the tip. The leaf margins curl under so they look smooth but under the compound microscope the leaf tip shows rough edges with slightly protruding cells. If there are no capsules this moss can be confusing. The plants contort and twist when dry, but open up when wet. 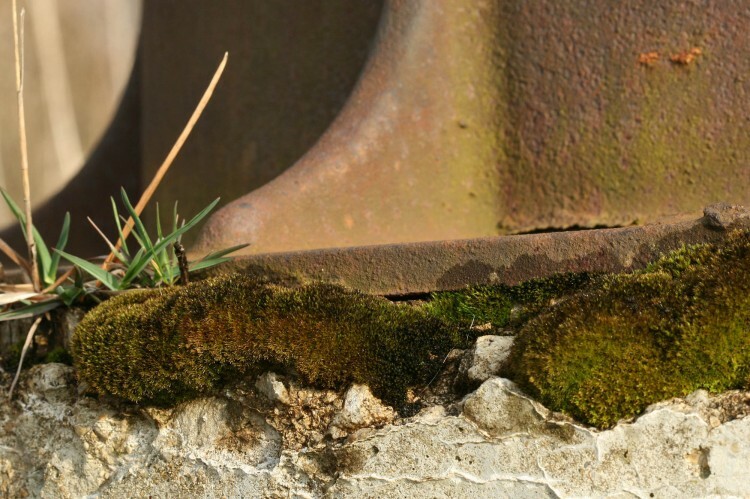 Where to find Ceratodon purpureus: It is a weedy moss and grows in waste places, often by the side of a road or railroad tracks, and sometimes on discarded objects.